You guys loved our earlier posts showcasing theme previews. We received many positive and constructive ideas about what features to include in our upcoming themes. Unfortunately, we haven’t been able to showcase a preview to the themes released in last 3 months because of frenzied development and release schedule. But hey, we are back again with the teasers. This has been long time pending. It’s been real long since we released an ecommerce theme on this site. Well the wait is almost over and you should see few dynamic themes about to be released in this niche very shortly. You asked for it and you are going to get it. Appointment theme for doctors, therapists, consultants, spa or salon owners, astrologers or any service based business who require their customers to set prior appointment. We are sure you will love this strategically beautiful theme. It is structured and planned in such a way it will help you showcase all aspects of your business while also allowing you and your clients to dynamically manage appointments with your business. 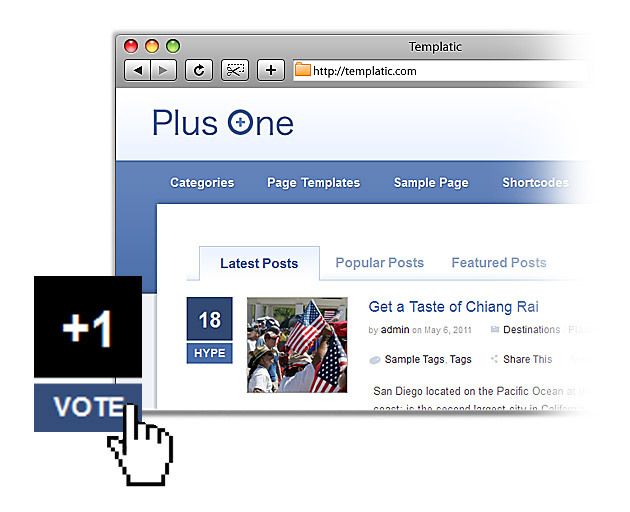 Named after google’s plus one feature, this unique theme lets you vote on a post you like. Also you can enable your visitors to submit an article and keep track of their favorite posts. Kind of a mini social media site based on WordPress. 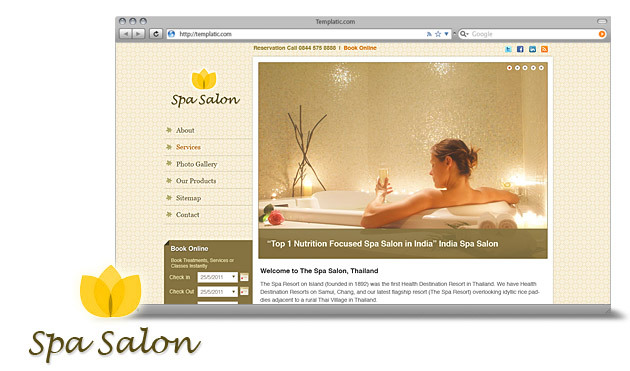 A slight variation to the appointment theme, this theme particularly focuses on spa or salon business. 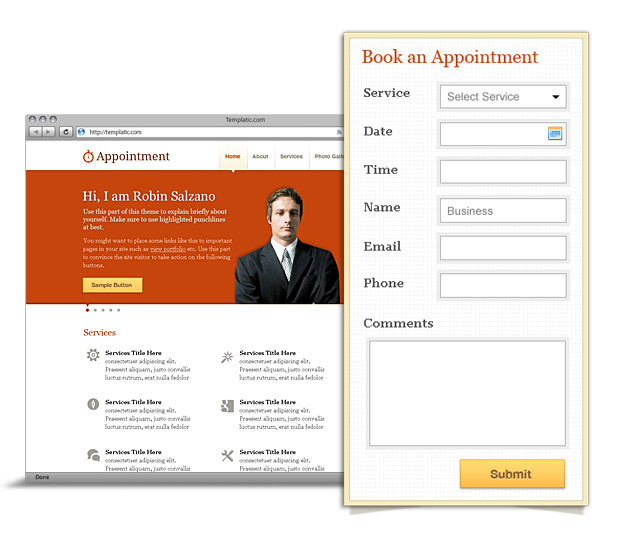 It has some similar features of the Appointment theme, plus some specific features. This upcoming elegant theme will focus on hotel business and hotel room booking. This theme is specially crafted for hotel business owners. Make sure you check this one out. Well this is preview to some of the themes coming up shortly at Templatic. Are you looking for a particular theme that is not available at Templatic store yet? Wish to share some unique theme ideas? Please comment here and let us know how we can improve. We’d love to hear your feedback on upcoming theme previews showcased here. It will help us make some last minute critical changes in the themes if required. Love them? hate them? Just shoot your opinion via comments. Wow really looking forward to the new e-commerce theme! Awesome stuff! Definitely looking forward to Plus One the most. I’d like the ability to turn off registration and maybe just have users submit posts/news via a form. Less admin work and I can have more control over content imo. You bet it has all of the stuff you are looking for. Users can submit a news which may be directly published or saved as draft. users can vote and keep track of the posts they have voted on by registering Or, admin can set guest only mode where users can vote and do not need to register. +1 theme is interesting. One thing I am interested to know is how do prevent bots from registering thru a WP site once registration is open to all? Initial version won’t have captcha built-in but if the theme proves to be popular, we will include captcha as well. We might. Soon? Cant promise anything at the moment . These do look really nice. Thank you for the previews. Like your themes! Appointment and Hotel Booking will be interesting to try. Keep up the good work! Awesome themes. You are going to ROCK the wordpress theme market. Your team always have an extraordinary idea, superb concept and clean design. That’s very good. I love it. (And that will be much more better if you push up your support/ helpdesk and security issues too. I think those issues are what most people talking about Templatic now). Can’t wait to see Templatic stands out over other themes companies. (like this one >> //wpcandy.com/series-on/theme-madness-2011). I’m really sure.. I’m your fans Templatic! Thanks Nona for the constructive feedback and wishes. Our support is stronger than ever with 6 people onsite + 1 person remotely working only on Support + documentation etc. Very cool stuff, looking forward to Plus One and Appointment theme. Any ETA :)? You guys have stunning designs. of course this is a (heavily) modified theme…so an out-of-the-box solution would be nice. So far I’m not sure there’s such thing on the market. There are gazillion of portfolio themes, lawyer ones, hotel & resturant ones, but nothing like this. Just my 2 cents. Thanks for this detailed feedback Ivan. 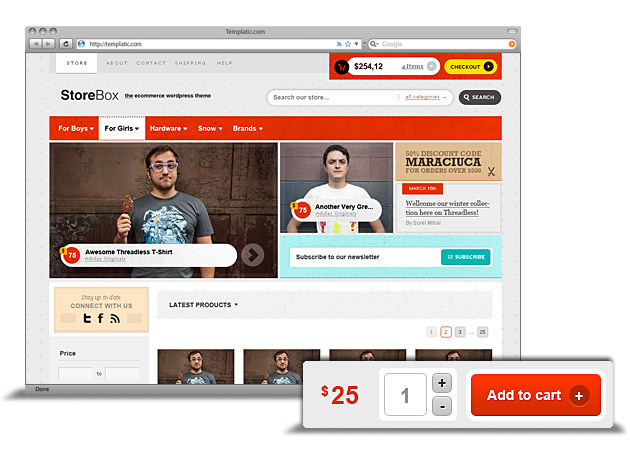 Have you tried our e-commerce themes? They HAVE four different modes. In inquiry mode, you can showcase as many products as you want and instead of add to cart, Inquiry button will be shown which will show a contact form popup so that user can send inquiry about that particular product. Tell you the easiest cheat? Simply hide the price field via a one line change of CSS code. Our support staff will definitely help you with this. For example, selling CDs, downloads etc. are totally different thing. However, we can show you a way how to do them as well with a theme built by us if a rock band theme is released at templatic. Awesome! Well Done! The themes look great. Looking forward to their release. My god Appointment theme is what i need for my business. Plz tell me when will be out. Are you able to set up which time you have availabe for estimate scheduling in the calender or how is it gonna work. Great one. My friend has his business idea started via this site – amazing idea for a site. +1 for developing a kickstarter type theme! Run it as larger multi project aggregator or just of your projects! During 10 years in business, clients have asked for functionality shown in the new themes. A schedule that allowed for the different business types. It would be good to set the time slots that could be booked. A system to alert both the site owner and user to an approaching appointment would be fantastic. It will be great to have a nice site to both promote the business and take appointments properly. Most reasonable sized hotels are now part of another bigger hotel system and display their availability on it. Most want that data incorporated into their own site and if they do take bookings on their own site they are worried about stock control and not receiving a double booking. A schedule that allowed for the different uses. It would be good if hotel booking theme could also be used for renting out holiday apartments. Where the user could book a property for a day or week or more. The best solution would be able to calculate prices for the booking (with seasonal rates and longer bookings being calculated) and take a deposit. Being able to have more than one property would be good (just as a hotel has more than one room). However they would need to have different rates. This would open it’s use to many more users. Hey Mark, thanks for to-the-point, constructive feedback. Time Slots – Not an issue. we have considered this :)?Alerts – Not really sure about text alert but email will definitely be sent to both the parties. Cancellation option will be provided. Waiting list is not included initially though. Showing alternative time is a good idea. Agreed. 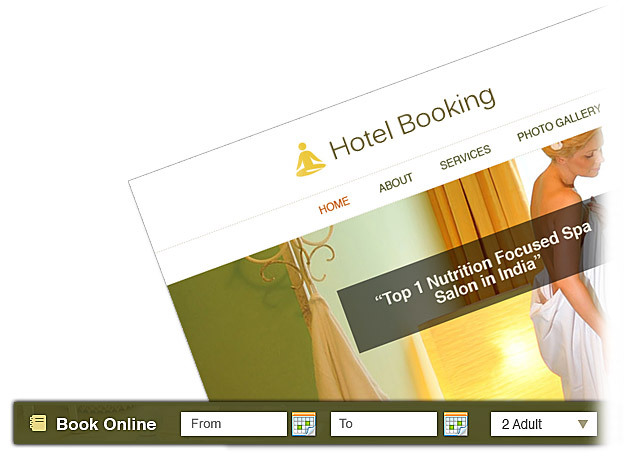 You can always use “about” widget in a theme and add your booking form provided by third party and show on site. Our theme’s built-in theme booking will show entire booking history and I do not see a way we can double book the thing. The amount of products your team is able to put out is impressive; these look great! Totally agree on this. Just tested the free version of WPML and it doesn’t work well with WP Store. I was afraid it won’t work on custom posts, but it seems that PRODUCTS aren’t exactly custom posts as they appear in both PRODUCTS and POSTS sections and the translated post appears Uncategorized, and in Products section, instead of Blog (bearing the same formatting as Product, which is not intended). Maybe I will buy and try the paid version of WPLML, but …wouldn’t like the idea of spending 79 bucks just to realize it doesn’t work on your themes. Working with the guys that wrote WPML would be a nice touch, as many sites now require multilingual version. I assume it is not an easy task, but since WPML claim there are premium theme developers that already complied with WMPL, adding Templatic would be nice. I emailed an idea for a community theme which would have features including posts (on main page) with plug ins like calendar/ events, forum etc. Though we can install the plug-ins ourselves, the homepage design will be important to link this aesthetically. Appreciate if you can build a community based theme site and provide color options. Hey madhav, can you please elaborate on this one further? Maybe a sample site link or a quick sketch will help us understand this better. Also please let us know the “purpose” of this theme – which will give us much more clarity on how it should be built. Maybe you would look at entrepreneur.com, hopefully it’s what @madhav is talking about. I would love to run such a site. Okay so it will be kind of a magazine theme with multiple authors which also links to forums (can be done via plugin), upcoming events (can be done by a custom post type specifically for events). Or there is more? Bhavesh we look for a Crowdsourcing theme, some theme with the kickstarter site functions. Nice suggestion. We are adding this in our wishlist. Thanks for this suggestion. We’ll try accommodating them. However, initially, only WordPress login will work and no other. Will these be available on your sister site ecommerceplex using the framework? all of those would be of great help. templatic is good at directory themes – so I think what is really missing is a hotel directory theme. Something where you can enter hotels and motels with free configurable fields and a rating system which are rich snippets. I know it does! Andreas you should check out Geoplaces for sure! It can, but it does not list them clearly as in the Directory theme. No Geoplaces in its current state is not it. Geoplaces does not include rich snippets (so rating is rendered useless) and for accomodations the layout for custom fields would need to be updated. Taking a closer look to all those booking platforms and refining geoplaces – this would be it! Not really sure whether I understood your comment properly. If possible, can you please show us a sample link of such site in action? In recent months, Google has moved over to a massive swing aimed at ‘local search’ and Google Places listings are incorporated into the main organic section now, so anyone searching for say ‘plumber new york’ will see GP listings and organic listings. With this aim towards local business’s, we know that the ‘small business’ man or woman are the life-line of communities and I have yet to see any theme designers taylor a web site for the small business, i.e ‘plumber’, ‘electrician’, ‘carpenter’, ‘hair salon’ etc etc and I think there is a HUGE market out there for that kind of ‘theme’ that could be easily changed to accommodate these small local business’s. There’s too many portfolio, design, photography themes out there! Create different categories like.. – carpenter, plumber, cook etc. For sure this needs a bit design changes such as making image smaller etc. but can be done. I think small business’s would prefer to have their own websites rather than share a generic ‘local’ web site, thats my thoughts. Is plus one a digg like ? It should be great ! appointment is good too, will there be a mobile version ? I second @Mars, the appointment theme would be complete if it allows people to book for appointments on their mobile comfortably. I have been looking on the market for something similar to PLUS ONE for a while now, and I think you guys might be on to something big here. I personally would be looking into using PLUS ONE to replace one my bigger sites, as it could potentially have all the options I am looking for. – Perhaps a gallery based option? where users can submit photos more so than actual text. ie. focus on photos instead of text. – FB / Google / Twitter login would be really awesome and helpful. – Allow users to actually upload photos via a custom uploader instead of the WP backend, since this can be confusing for non-WP users (uploading of media etc). – When users register, it would be awesome to have them choose a specific profile, (kind of like what BuddyPress offers), and then have menu options that can filter through these profiles. All in all, I cannot wait for the PLUS ONE template! We are talking about weeks definitely. Though the theme won’t be as advanced as you have mentioned, it does the voting thing perfectly for the user submitted articles. will the ecommerce theme support paypal pro? We will go with the 6 payment systems being supported at the moment. Other gateways might be supported later on. Hey, I paid 299 for the developer membership to access all themes and 2 new monthly… will these beautiful themes be included? That would be really cool! you get access to all the themes in our member area + those that we release during your membership period. Real Estate theme does supports WP 3.0 menu. To use, just make a custom menu first, and then go to Widgets and insert the “custom menu” widget in “Header Navigation” area. But what about custom posts? I honestly think you should remake this theme with custom posts to be more future proof before I undertake investment in time and effort to build a business with it. Hopefully you will do it soon, and I promise to be your first customer if you let me know. I really love the way you have designed it and the considerations for multi-user listings. If you have no intention of doing this, let me know so i can look into alternatives please. For now, we don’t have any plan for integrating custom taxonomy. I have noted down your suggestion though. Templatic, you guys are so productive ..
Thumbs up for the creative peoples !